Most recipes that call for salt are referring to table salt , which has additives like iodine (to prevent a thyroid disease), and an anti-caking agent so the salt won't get lumpy in humid weather. 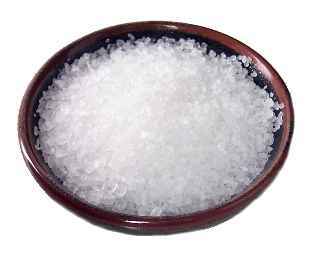 Salt connoisseurs, though, often prefer to use Kosher salt for cooking, and sea salt for table use. They claim that both have a softer flavor than table salt. 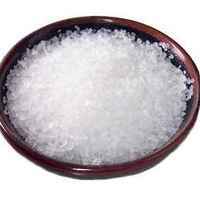 Exotic salts include the expensive French and Hawaiian sea salts, the smoky, sulfuric Indian black salt , and the intensely salty Korean bamboo salt . Specialized salts include pickling salt , which is free of the additives that turn pickles dark and the pickling liquid cloudy, and rock salt , used primarily to de-ice driveways and make ice cream.